Besides, using wired headphones requires a separate dongle that plugs into the iPhone’s Lightning port. Ever since Apple decided to get rid of the 3.5mm audio jack with the iPhone 7, most other phone manufacturers have followed suit. Indeed, Apple’s newest iPhones, the iPhone XS and XS Max, continue on with this new and frustrating tradition of removing the headphone jack. 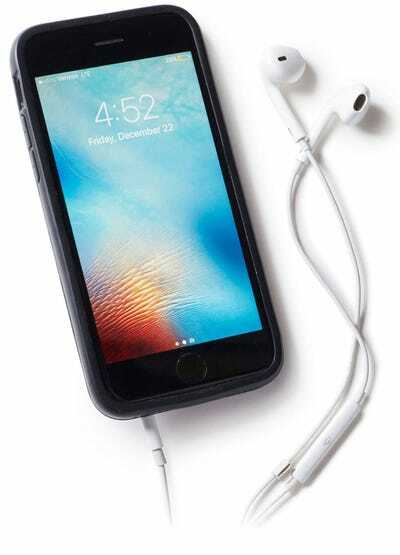 This brought along the rise of the dongle – another cable that you need to carry around if you want to listen to music through the Lightning port. However, this results in another issue: you can’t charge your phone and use the headphone port at the same time. Some companies have made dongle splitters that let you charge your phone via the Lightning port and plug in your headphones too. But it’s still a dongle. Now Blaudio is hoping to alleviate that issue with the inception of its all-in-one, ‘Made for iPhone’ case that includes a 3.5mm headphone jack and a charging port. While it can be frustrating that this product even needs to exist, it could be welcome in the uncomfortable and unsightly world of dongles. The Blaudio case plugs into your phone’s Lightning port, and features an audio jack on the bottom left of the case – right where it was located before Apple removed it. 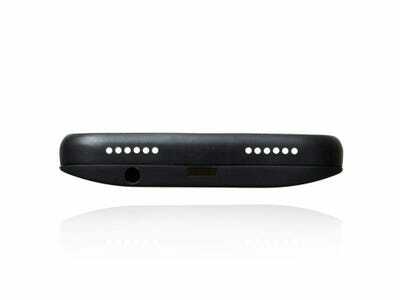 BlaudioThe bottom of the Blaudio case features a charging port and a 3.5mm headphone jack. The case can be pre-ordered for $US39.95, and will be available for all iPhone 7 and 8 models. Blaudio has plans to make cases for the more recent iPhone models as well.